Safely reads QR Codes and pricing barcodes. Download this innovate app now for free. 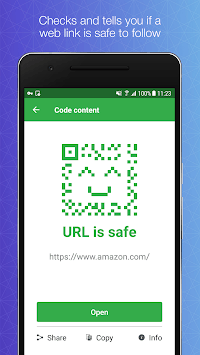 Avira Free Insight QR scanner protects you from malicious links embedded in QR codes – to keep you safe against infected phishing links and unknowingly being redirected to dangerous sites. You can also use it to scan and read barcodes, compare prices, and make smarter consumer choices. Avira proprietary URL cloud technology scans websites in real time. Stops infected sites from loading and reveals the full URL linked to a QR code. Reads most UPC codes and makes price comparison easy and safe. Quick and easy sharing to all your favorite social media platforms and email. Need to scan a QR code in the dark? No problem, our QR code scanner lets you conveniently switch on your torchlight from within the app. What you need to know about QR codes. QR (quick response) codes are graphic black and white squares (data matrix) that contain a lot of information, ranging from product data to URLs and special promotions. Within this code, hackers can embed code that redirects you to dangerous locations and applications. 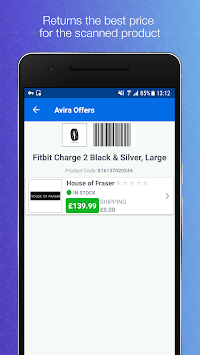 We combine our proprietary URL cloud technology (to scan for infected content) with a QR code reader, giving you the added advantage of Avira protection plus speed and convenience – all for free. 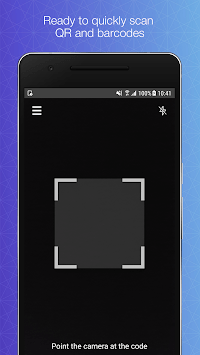 QR code reader recognizes the following types of code: Data matrix, UPC-A,UPC-E, Code 39 or 93 or 128, EAN-8, Aztec, EAN-13, Codabar, PDF 417, ITF, RSS-14, RSS-Expanded.